The Gas Safety (Installation and Use) Regulations 1998 outlines that all UK landlords are legally responsible for the gas safety of their properties and tenants. This is to ensure all gas appliances (both fixed and portable), fittings and flues provided for tenants are safe. All pipework, appliances and flues must be in a safe condition. Gas appliances should be serviced in accordance with the manufacturer’s instructions or serviced annually, unless you are advised otherwise by a Gas Safe registered engineer. Find a Gas Safe registered engineer. A 12-monthly gas safety check must be carried out on every gas appliance and flue. These checks make sure that gas fittings and appliances are safe to use. A description/location of each checked appliance and/or flue. The name, registration number and signature of the engineer that carried out the check. The date on which the appliance and/or flue was checked. The name and address of the landlord (or their agent where appropriate). If a tenant has their own gas appliance that you did not provide, you are only responsible for the maintenance of the gas pipework, not for the actual appliance. It is also your responsibility to ensure your tenants know where to turn off the gas and what to do in the event of a gas emergency. If you are worried about your tenants denying you access to the property to make checks or complete maintenance, you should make sure that a clause is included in your tenancy agreement that allows you access. It is your duty to take all reasonable steps to ensure that work is carried out, so this may involve giving written notice to a tenant requesting access and explaining the reason. It is a good idea to keep a record of any action, in case a tenant refuses access. 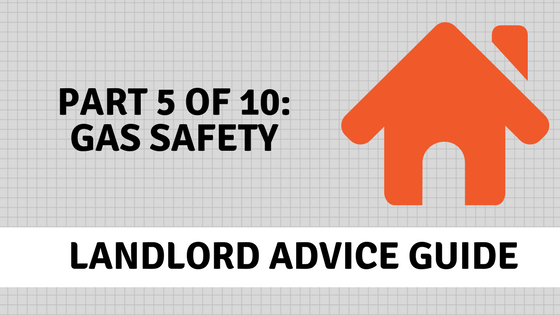 Also, remember that regardless of how short your lease term may be, you are still a landlord and still have legal responsibilities for gas safety.